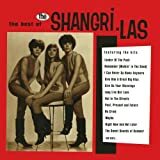 The Shangri-Las', "Leader Of The Pack"
"Leader Of The Pack" is one of the best known songs from the 1960's, a #1 hit for one of the best girl groups (and a very rockin' one at that) the Shangri-Las in the fall of 1964 it really set the stage well in terms of teenage rebellion amongst teenaged girls. But it comes with a price, when the main protagonist, Betty goes against her parents and dates Jimmy who apparently is a leader of a motor cycle gang ("The Leader Of The Pack"). And then when she tells Jimmy that she must stop seeing him because her parents insisted, Jimmy can't stand it and can't express his feelings except by speeding off on his motorcycle and Jimmy gets killed (sounds like Shakespeare's "Romeo & Juliet" in a more modern day setting, at least for 1964). Sounding more like a teenaged soap opera from the start of the tune with Betty being asked by the other girls in the group, "Where'd you meet him?" "I met him in the candy store. ", one wonders how this song became a #1 tune, except it must have appealed to many teens of the time (doubt it would be a hit nowadays though). Posted here by me is the fifth and sixth verse of the tune, and the point in the song when Jimmy gets killed after finding out from Betty that her parents have insisted that she breaks things off and then the aftermath at school for Betty. The Shangri-Las were composed of two sets of sisters from Queens, New York, Mary Weiss (born 1948) and Elizabeth "Betty" Weiss (born 1946; the Betty in "Leader Of The Pack") and identical twins, Marge (1947-96) and Mary Ann Ganser (1947-70). "Leader Of The Pack" also produced a parody cover of the tune the following year of 1965, "Leader Of The Laundromat" (with the roles reversed for the young man and young woman) by a male group calling themselves the Detergents.